Let the kids add all the numbers within the beetle outlines and find and match the sum on the beetles. 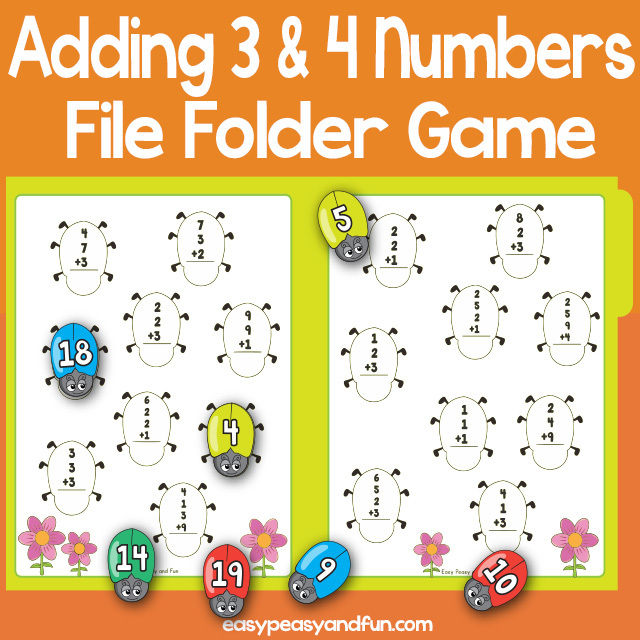 This file folder game focuses on addition up to 20 with equations with either 3 or 4 numbers to add up. There's room on the beetles heads to attach Velcro dots. Great math resource for revision in Grade 2. 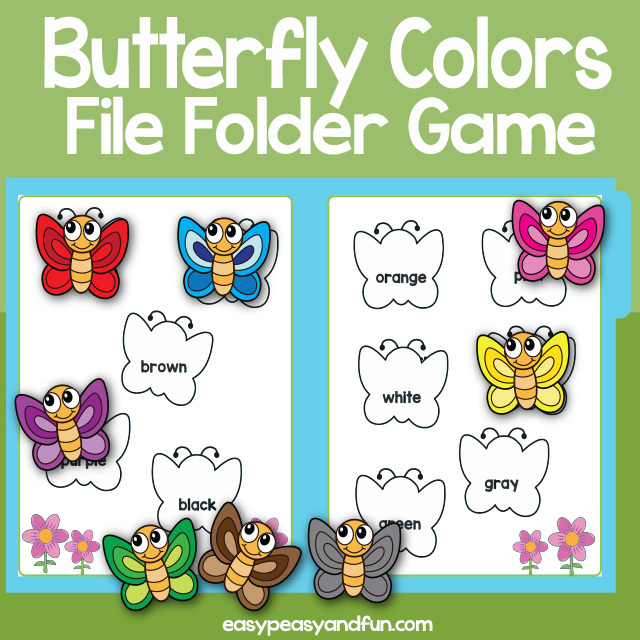 Let's learn the words for colors with this fun butterfly colors file folder game. Kids will need to read the color name inside the butterfly outline and match it with the correct butterfly. Colors included: red, blue, brown, purple, black, orange, pink, white, yellow, green and gray (both gray and grey version included). Use as a file folder game or combine into an activity book with one or more of our printable interactive file folder games. Laminate the pieces for durability. 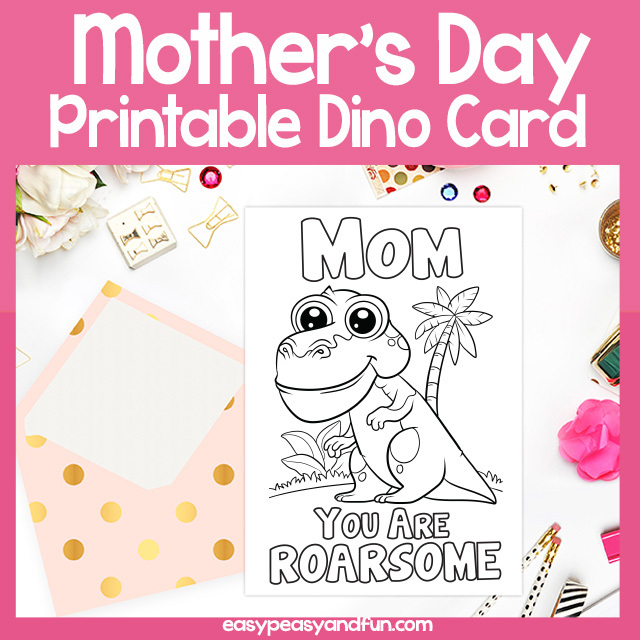 If your kids are in the dinosaur loving phase they are going to love coloring this Dinosaur mothers day card with a roarsome pun. Let them add in their special note and you have a wonderful Mother's day card. 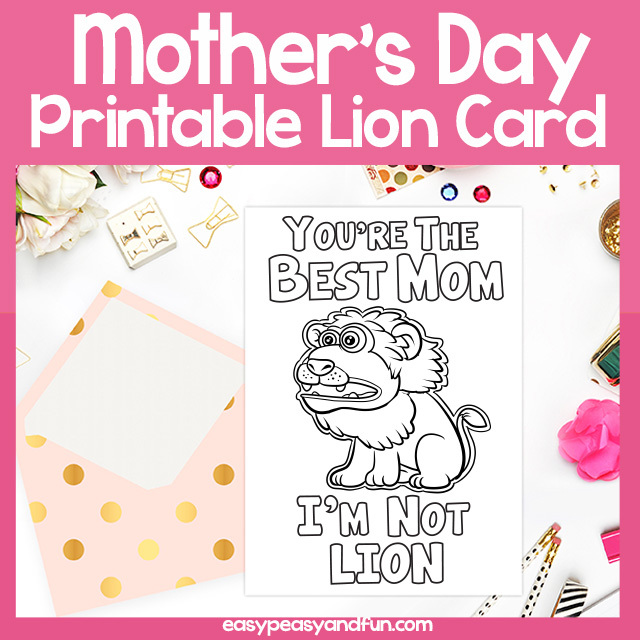 Two sizes included, one with one card (folded) on one sheet that's perfect for kindergarten and younger kids (large coloring areas) and with a two per sheet design. Bunnies are the best when it comes to wishing someone something hoppy! 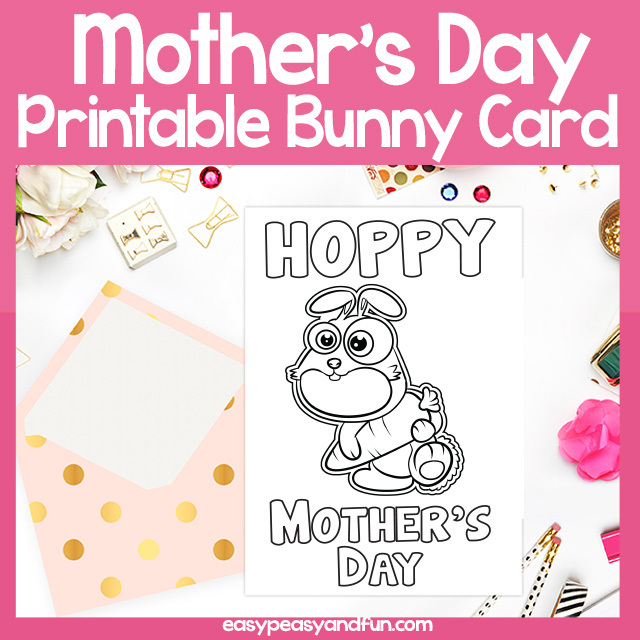 This Hoppy mothers day pun will bring out giggles with the pun loving kids. Let the kids color their cards and write in their special little note for a special mom. 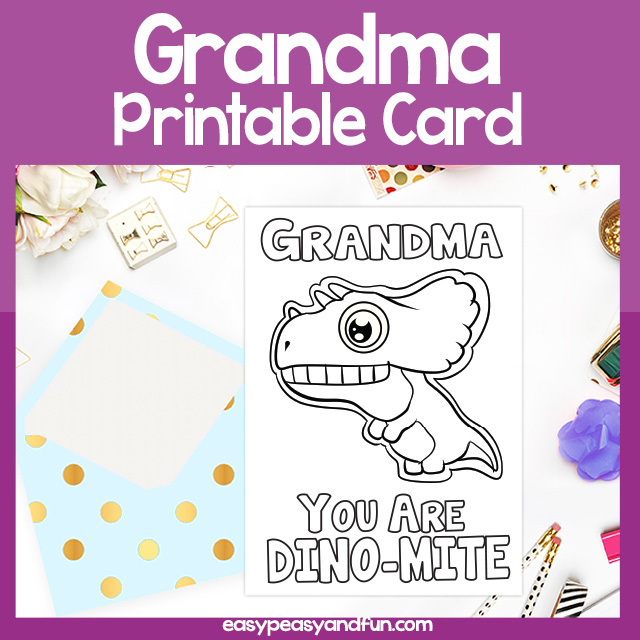 This card comes in two sizes, one where one sheet of paper makes one card (folded) and it's perfect for younger kids (big areas to color) and smaller size with two cards per sheet of paper. Moms sure are busy bee's so we are sure they are going to be happy to receive this Thanks for Bee-ing a great mom Mothers day card. Have your kids or students color in the bee card and write in a special note. 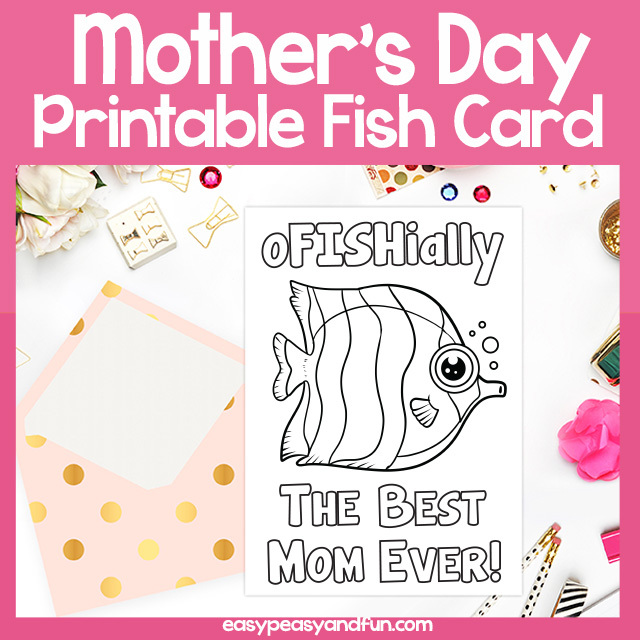 Comes in two sizes - one large that's perfect for younger kids and one smaller (two cards per sheet of paper) that's great for classroom use as it's an inexpensive mother's day activity. 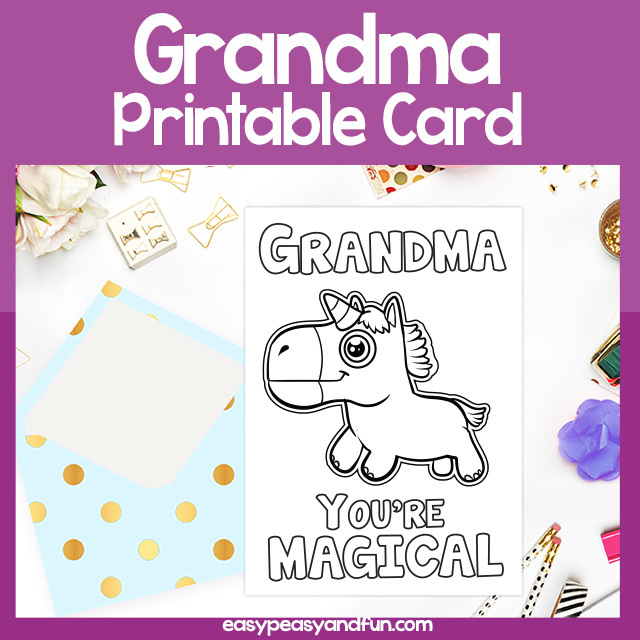 Spread some magic with this Unicorn Mothers Day Card. 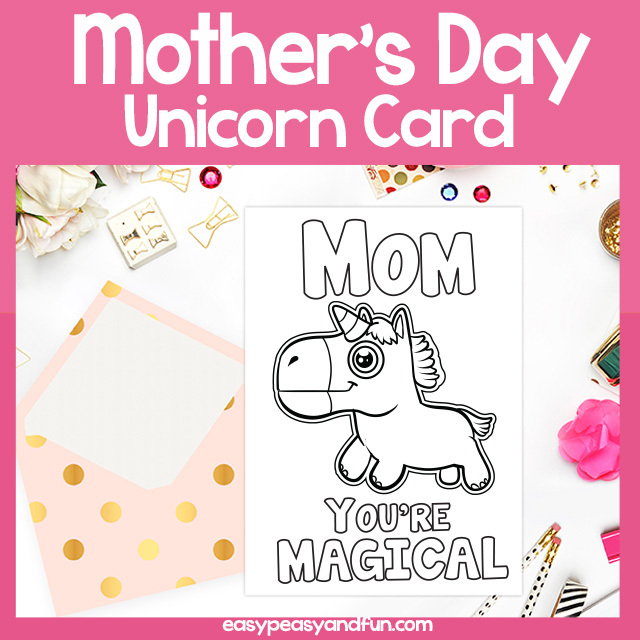 Mom You're Magical card with an image of an unicorn is a perfect card for any mom - mother's indeed are magical. There are numerous ways the kids can decorate this one, we think metallic markers would make this card even more magical. Large and small cards included. We are not lion when we say we love a good pun. This coloring Mothers day card is sweet and true. Kids who enjoy coloring will have a blast coloring their own punny card - crayons and markers both work great. Easy and simple project that makes a great addition to the handmade gift (or used on it's own). Two sizes included - large card (one sheet of paper folded in half) and small card (two cards per sheet of paper). Who loves their mooooooom? We do! 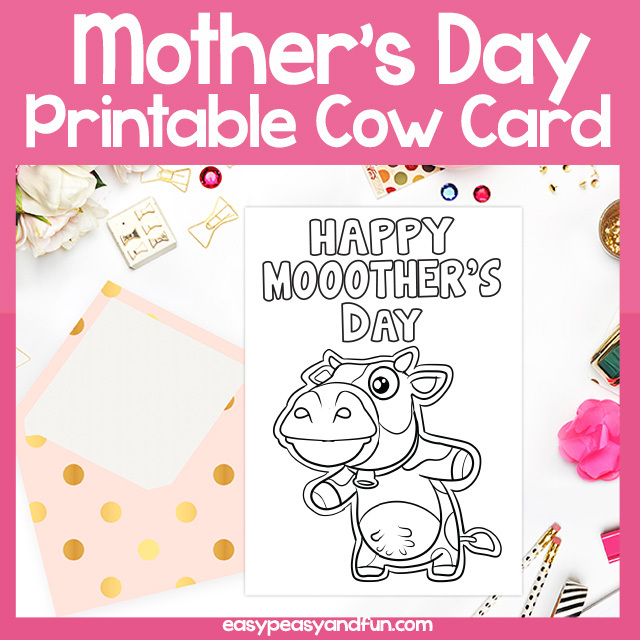 This Happy Moother's day Mother's day card will delight all the pun loving kids. Give them crayons or markers to decorate this card and let them make their moms happy. Simple card, lots of giggles. Comes in two sizes - one as a one card on a sheet of paper and one as two cards on one sheet of paper. 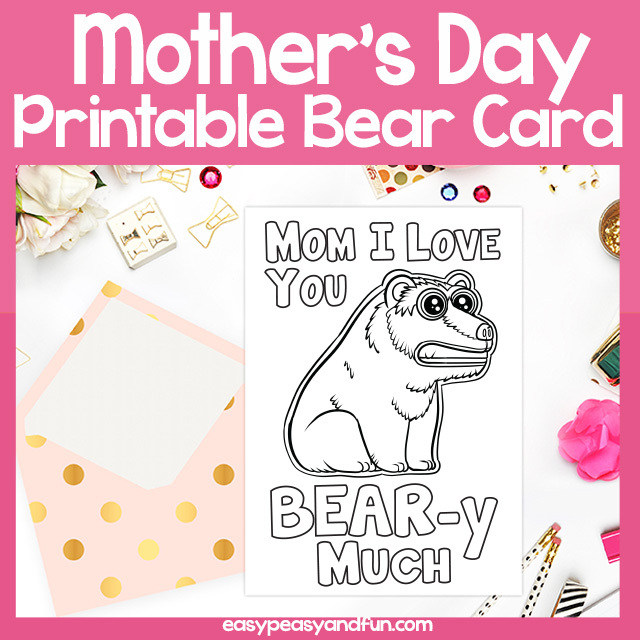 If you have kids who love their mother beary much, this is the card for them. Any pun loving child will enjoy coloring this Mothers day card as well as writing in their personal note. And every mamma bear out there will love this card. This printable card comes in two sizes - 1 with 2 cards per sheet and one with 1 card per sheet of paper. If your kids love puns, they will love coloring this ofishially the best mom ever Mothers day card. This no prep activity is great for morning work as it's a quick and easy activity. This card comes in two sizes - one where one sheet of paper makes one card and one where one sheet of paper makes two cards.